Press the window switch down to the first detent position (5). Release the switch when you want the window to stop. 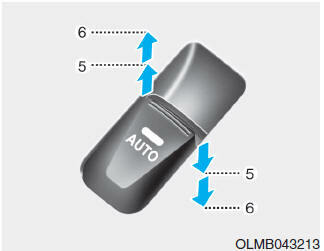 Pull the window switch up to the first detent position (5). Release the window switch when you want the window to stop.